The slaughter of animals should be carried out with the animal suspended and in no case should the animal come into contact with the ground. 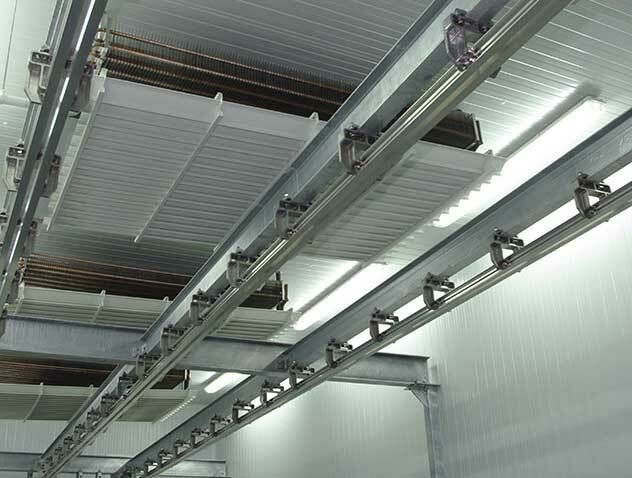 The air rails in the meat industries are an important saving of time, helping to optimize the space and making work easier to staff. Twin track rails allow to move the load with total comfort and without unnecessary overexertions that can carry future injuries. 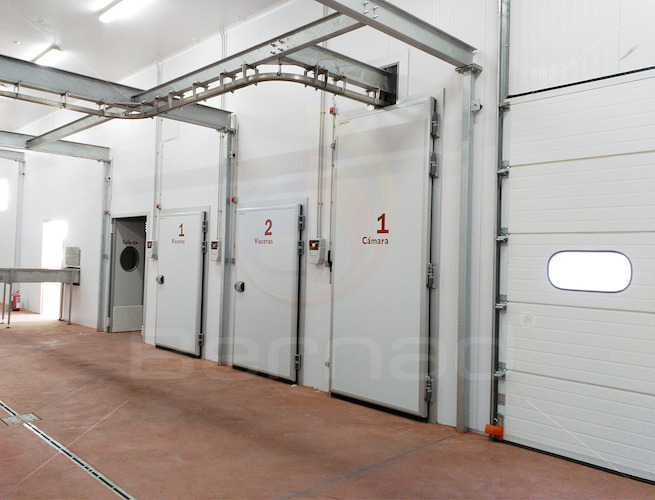 At Bernad® we are experts in the design and manufacture of air transport systems for slaughterhouses and cutting rooms, as well as the necessary complements for their proper maintenance and storage (trolleys with hooks, chambers, hangers, meat gambrels, etc. .). 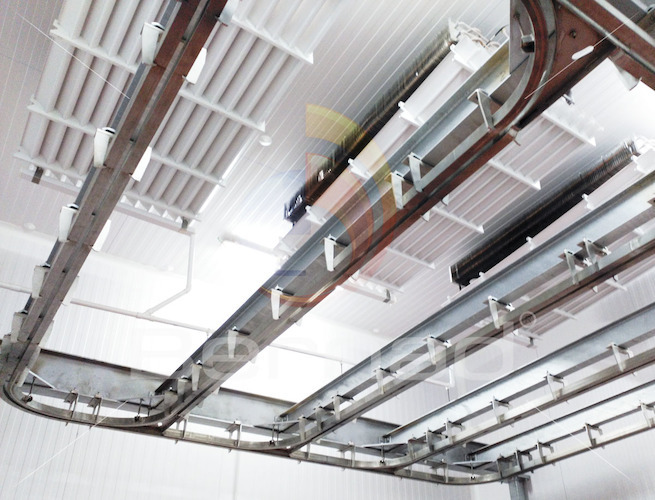 Our aerial track is of the “twin track rail” type, made of two profiles of aluminum alloy obtained by extrusion and provided with a special grooving system to fix the brackets with stainless steel screws.